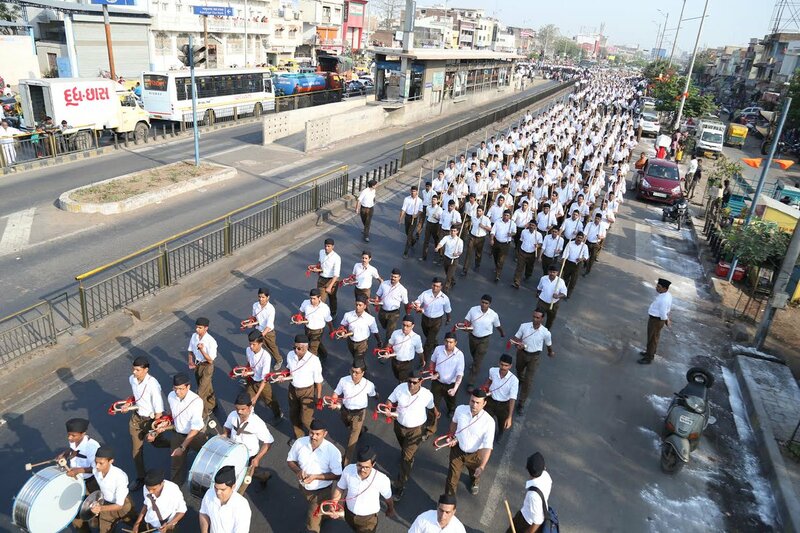 Ahmedabad: As many as 5,336 Swayam sevaks marched in Path Sanchalan parade in Ahmedabad on Sunday morning in full uniform. 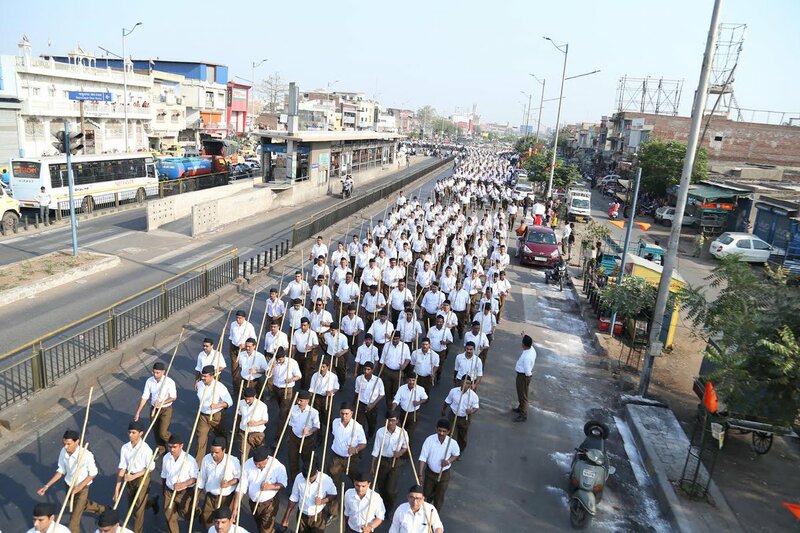 This was the first path sanchalan march in Ahmedabad after introduction of new uniform of RSS(full pent replaced half pent). The march was welcomed by locals at various places on route. Speaking on this occasion, RSS joint prant pracharak Mahesh Jivani said the concept and work of Sangh activities is to achieve ‘Samras’ (equal) society. This feeling of samrasta(equality) takes shape while doing RSS work. 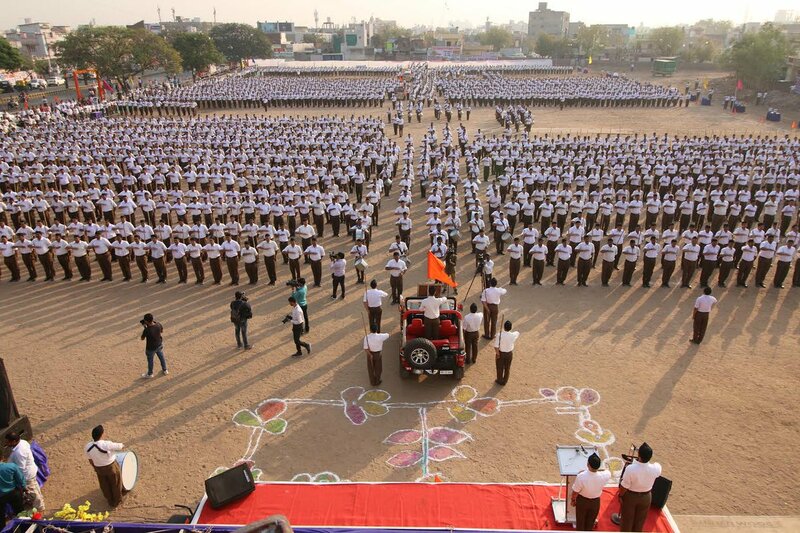 It is however expected from RSS volunteer that even when he is not in RSS uniform, his role should be as swayam sevak. Society has certain expectations from us. Are we fulfilling those expectations? We should constantly brainstorm on this and our continuous efforts should be in accordance to it. Today, there’s a need of cooperation among sajjan shakti. Whenever sajjan shakti are on rise, the opponent also become active to oppose that. At such juncture, one needs to have trust in own vichar, shakti and friends. Mahesh Parikh(Karnavati Mahanagar Sanghchalak), Shailesh Patel(Joint Karyavah, Gujarat prant), Tejas Patel(Karnavati Mahanagar Karyavah) were among those present on the stage.